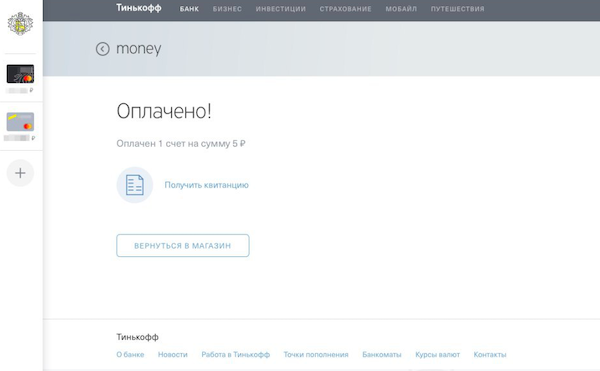 This payment method is available only to the clients of Tinkoff Bank. Add products to your cart on the store's website and proceed to checkout. 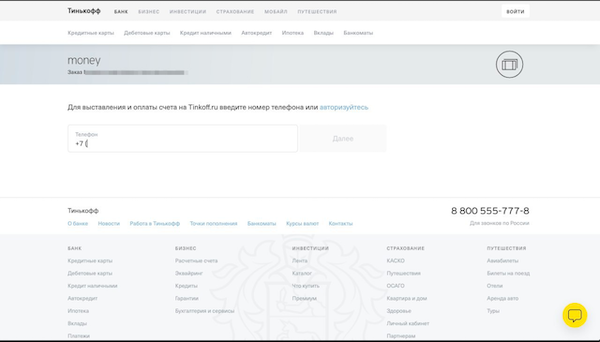 Click More on the page with the list of payment methods, select Tinkoff, and click Pay. 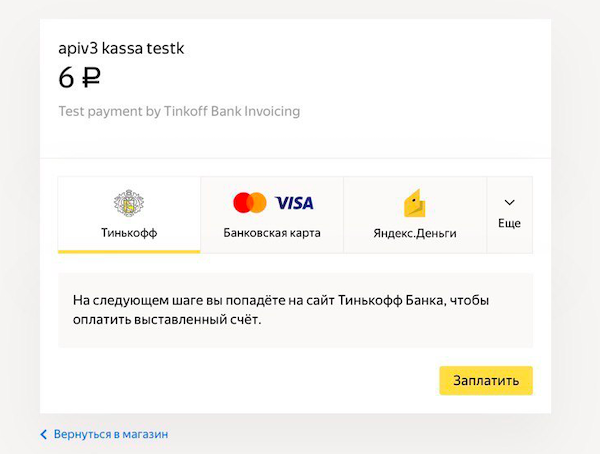 You will be redirected to the website of Tinkoff Bank. 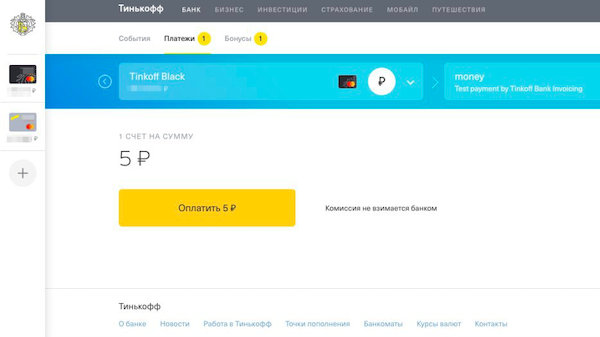 On this page, you can choose a convenient way to pay for the order, via the Tinkoff Bank mobile app or in your personal dashboard on the website. To pay via the app, enter the phone number linked to your online banking and click Continue. You will receive a push notification that will redirect you to the app where you can pay for the order. To pay at the website, log in to your account with your username and password, find the invoice in the Payments section, and make the payment. You can get the receipt after the successful payment.